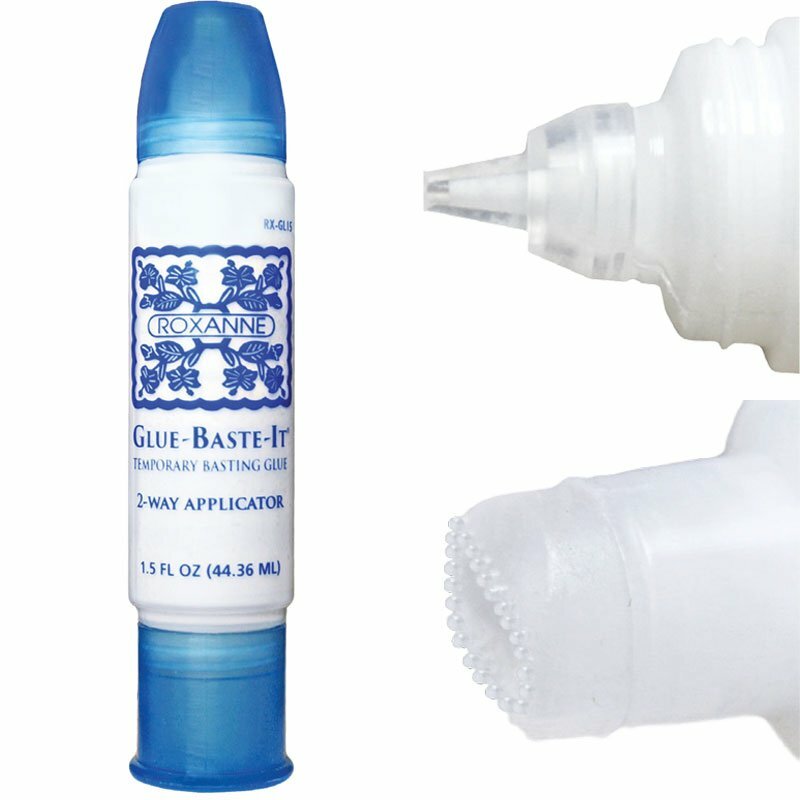 Glue Baste It 2 Way Applicator. Same great temporary basting glue now with 2 way applicator. Small tip excellent for positioning appliques with tiny dots of glue. Wide tip ideal for applying sashings for quilt as you go projects or binding. Turn wide tip sideways for a narrower line of glue. Water soluble, pH neutral and dries clear.